learn how to fix your black & decker nicd battery yourself in 5 minutes with our battery repair guide. nicad batteries often die in such a way that they won't take a charge and have zero voltage. it would cost you a lot of money to replace your old black & decker battery with a new battery from the manufacturer. 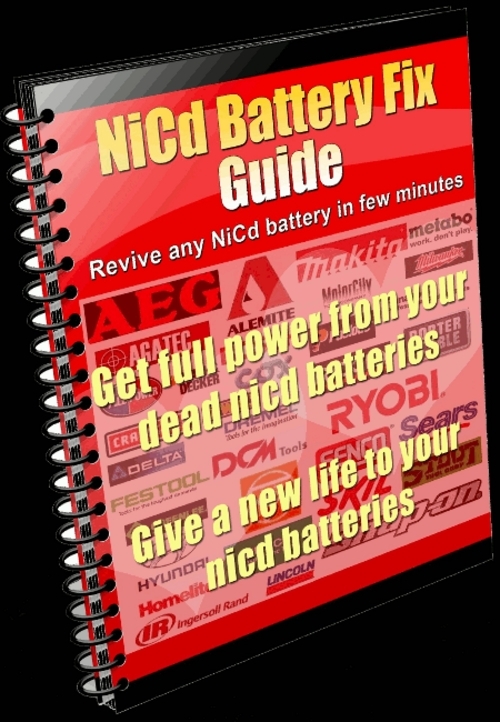 resurrect your black & decker nicd battery with easy nicd battery fix instruction guide. * get full power from your dead black & decker nicd batteries. * your black & decker nicd batteries will run like new again.